Snackworks is your workplace refreshment specialist. 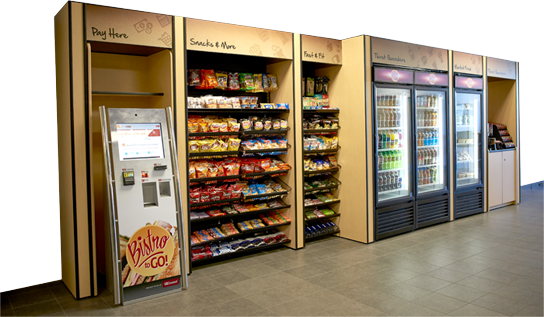 Family-owned and operated since 1990, we bring next-generation fresh food, snack, and beverage vending services to Southwest Florida. In addition to state-of-the-art vending, we also provide Bistro to Go® Markets and a wide range of office coffee and water cooler services. Snackworks offers the industry-leading USConnectMe Loyalty program which awards loyalty reward points with every purchase. You'll be able to watch your points add up from our app and our website - whatever suits your style. Your benefits follow you wherever you go - enabling you to make purchases or use your points across your campus and at any of the thousands of our points of sale nationwide.